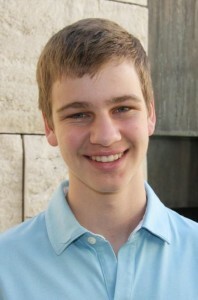 Colin Johnson, 17, has been inspired by geology for ten years. Now he is using his love of geology to inspire other kids. By sharing his knowledge of geology and geodes with young underprivileged students, Colin is helping other children learn the importance of geology and learning! AK: When did you first start studying geodes? CJ: When I was seven, my parents would take me geode hunting in the dusty flats of Utah. AK: Explain what your project, Hunt for Knowledge, is all about. CJ: To inspire underprivileged children to love geology and learning, I founded Hunt for Knowledge, a program where I visit Title 1 elementary schools to give a fun presentation and geode hunt. These are schools with children so impoverished they have holes in their shoes and do not even know their own birthdays. After his first presentation at Topaz Elementary School in Fullerton to 34 4th graders, principal Rafael Lopez was amazed by the leaps in learning the children made, which were not shown in the other 4th grade class Colin had not yet visited. Three months later, Colin gave a presentation and geode hunt to the second class of 4th graders, who were so inspired they said, “I want to be a geologist like you, Colin!” and “So this is why we need to read–so we can learn about the world.” I was amazed that a two hour presentation and geode hunt can make such a difference in the lives of these children. I think the gift of time and a geode is a symbol to them that someone cares. AK: Why is it important for other children to know about geodes? CJ: Because geodes are a metaphor for people—we may sometimes look like plain grey rocks on the outside, but on the inside, there are gems to mine. AK: What is your favorite thing about teaching other children about geodes? CJ: I love the way their eyes light up when they see someone taking an interest in them, and the way their books fly open for the first time because they want to learn, not because they have to. AK: You are an inspiration because you inspire other kids to become excited about school! What advice would you give to other kids who would like to make a difference? CJ: I would say: identify what you are passionate about, and share those passions with children. Too many kids schlep to the same school club service projects because they have to, not because they have a heart for the cause. If your school doesn’t have a club you’re passionate about, found your own. Also, one thing that surprised me was that it doesn’t take much to change a kid’s life. I never knew that taking a couple hours of my time to talk about my passion to children would dramatically change their lives. If people were aware how little they have to do in order to inspire kids, I feel they would be more willing to help. AK: Who are your role models? Why? CJ: My rowing coach, for teaching me self-sufficiency. Crew: Six days a week, two hours a day, we grind our muscles into dust for glory. Writing is one of my talents. Three years ago, I was shocked to be honored at Carnegie Hall for my short stories and poems by Scholastic, the Harry Potter publisher. Less than 1% of 33,000 students win, and somehow I was awarded two gold medals and a silver. Truman Capote, Sylvia Plath, and Richard Avedon won this contest as teenagers. Last year, I won two silver keys for California (4% out of 2051 entries.) This year, I won two gold keys in the same writing contest. Out of 7,000 writing entries from 26 states and ten countries, only 13% won gold keys. I am pretty good at surfing, skimboarding, and skateboarding. One of my proudest moments was surfing at Trestles where the pros practice. There’s nothing like sliding down a shimmering fifteen-foot wall of water as it engulfs you and spits you out. You know, there’s something humbling about dancing with Nature. As for skateboarding, there’s nothing like a long 5-0 grind in a drained out pool. Skateboarding makes me feel like I’m flying. Lastly, I am a pretty goofy fellow who likes to make people laugh with my impersonations. My personal favorites are Yoda and my dad. CJ: I want to continue to inspire children to find and pursue their passions and believe in themselves.